Cyberjamz / Toupee / deeperSIDE of Cyberjamz Records welcome to our producer line-up for 2018.This fantastic deejay/producer and re-mixer has not only skills but CalvinSol pays attention to detail in order to make his mixes sound as good as it gets and this is all we ask for in this time and digital age of music. So keep you ear to the ground for his upcoming releases CalvINSOL presents: SoL VL 1 and Sol VL 2 ,two exceptional extended play packages coming soon to deeperSIDE of Cyberjamz and Cyberjamz Recs respectively.Also there is a hot solo piece entitled “Culture Vibrations” , a original dance floor body slammer of which will have dancers wanting for more. Check out The House of Soul Show with SammyRock & DjHousecat(la gata de fuego) in the next coming weeks as we will be featuring and test driving these upcoming joint and E.P’s. 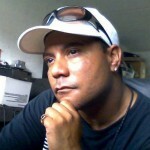 CalvINsol Dj/Producer from East Orange Nj grew up listening to wonderful sounds of House Music. 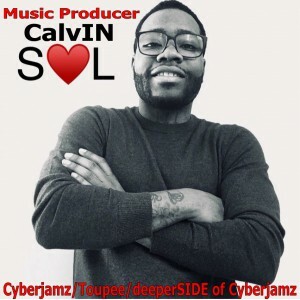 CalvINSOL been spinning since the early 90’s and seek to continue his career and passion for Music .